Syria has complained to the UN about Israel's new air raids, stressing that the “cowardly” attacks will fail to hamper its resolve to defend the country and confront its enemies. In separate letters to the UN chief and the Security Council chairman, the Syrian foreign ministry denounced missiles fired by Israeli warplanes on a number of sites near Damascus on Friday. The ministry said the fresh attack was a flagrant violation of UN Security Council Resolution 350 which enshrines a ceasefire between Tel Aviv and Damascus, first put in place in 1974. According to the report, the Israeli aggression caused material damage to one of the warehouses at Damascus International Airport. Israeli warplanes, apparently deterred by buoyed Syrian air defense systems, sneak into the Lebanese airspace and fire missiles at their targets inside Syria. The ministry said the Israeli actions in Syria are no different from those of Takfiri terrorist groups marauding across some parts of the country. “The deliberate repeat of these grave provocations and cowardly aggression is a clear proof of the fact that what Israel is doing is no different from what Daesh and Jabhat al-Nusra organizations are doing in terms of terrorist methods and threatening international peace and security,” it said. The ministry also condemned the US's support for Israel and the Security Council's silence in the face the Israel crimes. -US is still in Syria and AROUND the world and just expanded into every conflict. -US is always be a WARMONGER. -US always MEDDLING and INTERVENING every country. -US deploying bases around the world, including ILLEGALLY inside Syria. -US is ISRAEL'S SLAVE FOREVER! “Syria stresses that the continuation of Israel in its serious aggressive approach would not have been possible without the political, military and media cover provided by the US administration in the context of a state of immunity from any accountability provided by well-known states in the Security Council, which could enable Israel to continue to practice state terrorism,” the letters read. Israel frequently attacks military targets inside Syria in what is considered as an attempt to prop up Takfiri terrorist groups that have been suffering heavy defeats at the hands of Syrian government forces. In an interview with the New York Times earlier this week, Lieutenant General Gadi Eisenkot, the Israeli army's outgoing chief of staff, said that Israel had carried out “thousands” of airstrikes in Syria in recent years. Israel claims the attacks target Iranian military advisers and Hezbollah fighters, but an Israeli intelligence website recently put the kibosh on the claim, saying the raids in fact hit Syrian army positions. 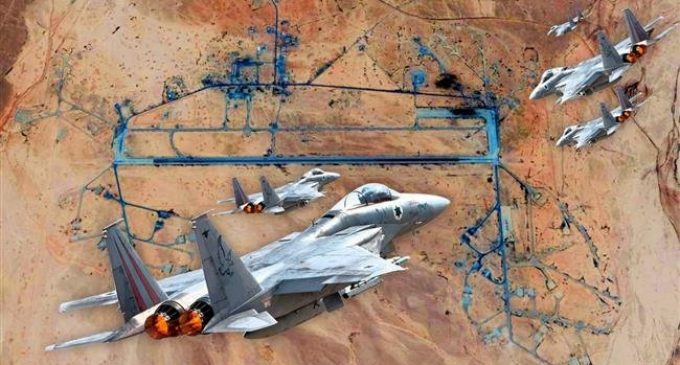 An Israeli intelligence website has refuted Tel Aviv's claims that a recent aerial raid in Syria had targeted Iranian military advisers and Hezbollah fighters. The Tel Aviv regime has occupied and annexed Syria’s Golan Heights, a move never recognized by the international community. It further called on the UN Security Council to shoulder its responsibility in maintaining international peace and take a prompt action to prevent further recurrence of the Israeli aggression. Israel, it said, should also be held accountable for its crimes and continued support for terrorist outfits.